A man aged 41 and a woman aged 30 were arrested after two robberies in Glenarm and Ballygally on Sunday, July 23. At approximately 10:35am, police received a report that as a man was taking photographs in a carpark on the New Road, Glenarm a masked male, brandishing what is believed to be a firearm, demanded that he hand over the keys to his car, which he did. The man then made off in the vehicle, a red Ford Fiesta Finesse. At approximately 10:50am, police received a report of a robbery at commercial premises in the Coast Road area, Ballygally. 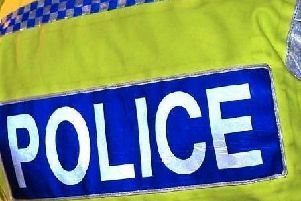 A masked man entered the shop with what is believed to be a firearm and demanded money from staff. He left the scene with a sum of money. No one was injured during either of these incidents, however the man whose car was stolen and staff within the shop were all left very badly shaken. The stolen red Fiesta was found abandoned at approximately 11:15am on the Dickeystown Road, Glenarm. Detective Sergeant Peter Crothers said: “I would appeal to anyone who may have witnessed either of these incidents or anyone who may have observed the red Ford Fiesta Finesse driving on the Coast Road or Dickeystown Road, Glenarm to contact Detectives at Larne on the non-emergency number 101, quoting reference number 498 23/07/17.